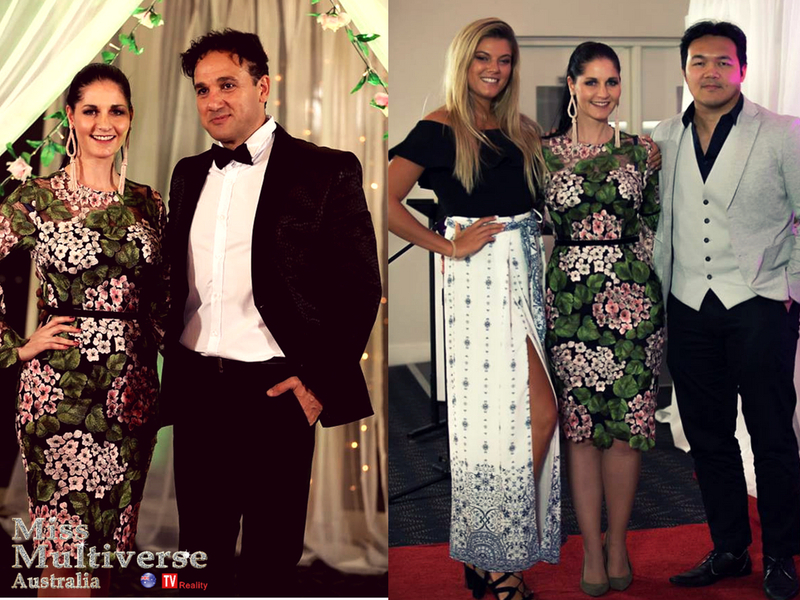 The final six models from NSW battled it out over the weekend of the 18th and 19th of August for Miss Multiverse Australia NSW Finals. The first day started with catwalk training, followed by an intense fitness and dance challenge and ended in a relaxing yoga session at Zen Om Yoga. The top six finalists from NSW all came together in Chippendale, an inner-city suburb of Sydney, with the esteemed judges to rehearse and perfect their runway walks, most of the girls were on time with the exception of one girl who was almost an hour late. National Director, Yolandi Franken and Diab Metry, TV Personality and actor, gave the contestants a bit of tough love when it came to giving feedback on their walks. Whilst there was one stand out contestant, Ali Liu, who had the perfect European strut, there was another contestant whose walk needed quite a bit of practice, leading to some quiet snickers from the other girls. Getting feedback is not always easy for the models. There is no holding back and girls are pushed to achieve the best catwalk stride possible. Although some models accept the feedback with open arms, others are not that happy to be critiqued. Once the contestants walk had been put through the ringer, and hung out to dry, they then moved on to a high-class luncheon with the top designer and founder of Sophia and Co, Sophia Soulos and her fashionable daughter Savannah, at one of the hottest spots in Marrickville, Georgia’s Kitchen. While the ladies were being treated with authentic and delicious Grecian food, they were mingling with each other and trying to make a lasting impression on their mystery judge Sophia Soulos. Up next was the dance challenge with choreographer extraordinaire Justin Jarrett. This challenge included a rigorous ten-minute core workout, which had some girls breathless, critiquing of their “perfected” runway walks and the finale learning a small routine which proved difficult. Diving right into the challenge the ladies got put through ten grueling minutes of intense core workout, including planks, side planks with leg lifts and high-speed high knee running. The contestants then got split into two random groups and had to compete against each other for a winning prize of $400 worth of Bikinis from Bikini Island Swimwear, when the girls thought they had the choreography fully learned another twist was through their way, the ladies had to perform the fast-paced dance in their groups with high heel stilettos. The intense fitness and dance challenge brought on some moments of real frustration, as dance teacher Justin Jarrett not only expected fitness but a dance performance with personality. 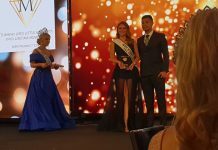 With some models in tears, it left the judges wondering who has it all and who can take the pressure of being a Miss Multiverse Australia winner. The second day consisted of more catwalk training by Diab Metry, fittings, photo shoots, interviews and a fashion show with an unfortunate twist. During the interviews with judges Yolandi Franken, Hiwa Motifex and Mike Ilags, girls were based tough but important questions. The fashion show, beautifully decorated by KR Experience, was the highlight of the weekend. Models got to showcase some of the breathtaking designs by Sophia & Co, Typico Swimwear and Bikini Island Swimwear. Although there were some Just-Lashes giveaways and Bikini Island Swimwear prizes, there was also some bad news. Two of the six girls had to be eliminated. Although Suzanne Azzi and Anne Dao are both beautiful and wonderful girls, they did not stack up to the tough completion and the judging criteria of the contest and was sent home. Ali Liu, Carolina Campos, Emma James, and Hannah Smith are still in the running to be on the 2018 Top 10, National Finalists. The winner of Miss Multiverse Australia will join 30 international models at the world finals. The Hard Rock Hotel & Casino Punta Cana hosts the World finals of Miss Multiverse since 2013.The reality show ¨I Am Multiverse¨ now on its fourth season is hosted by Linda Grandia CEO of Miss Multiverse and Mariana Verkerk Show Producer.